There are going to be a lot more where these came from! We also have more gold zucchini, more Chinese Long Beans, and the very first of some of our tomatoes, especially the Orange Blossom and some Chocolate Cherry tomatoes. 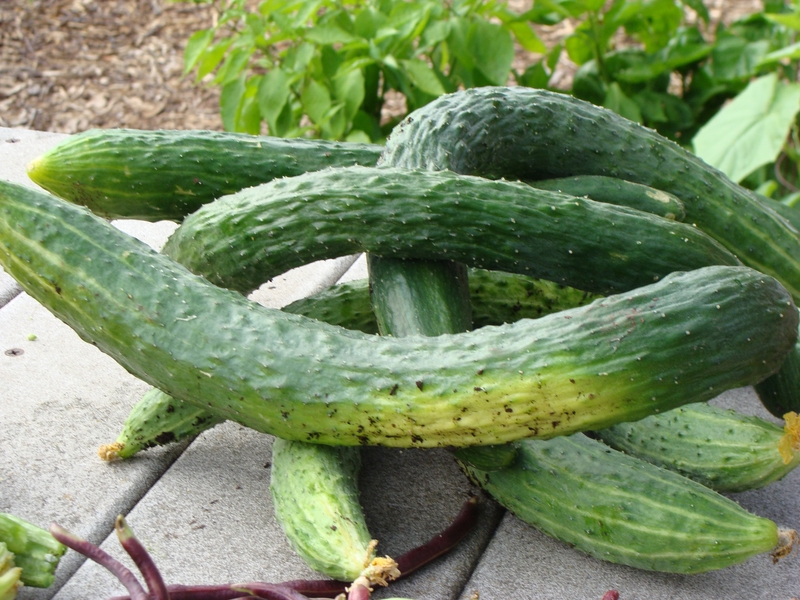 Posted on July 13, 2010, in Around the Garden and tagged cucumbers, harvest. Bookmark the permalink. Leave a comment.